What does the ‘dd’ mean? Well it came to mind because currently I am watching the very psychologically motivating T.V series ‘Dexter’, which is based on the novel ‘Darkly Dreaming Dexter’. And somehow, the phrase ‘Darkly Dreaming’ seemed very apt in this case. Let me explain – first of all, what is the series about? Well honestly this is a series which, Donkey (from Shrek) would say, is kind of like a many layered cake (‘An Onion’, Shrek replies… but like Donkey, I prefer the analogy of the cake). So, First Layer – We follow the everyday life of a typicsl American looking suntanned guy who works for the forensics lab in the Homicide section of the police, only in reality, he’s also a serial killer playing hero and getting rid of all those criminals which slide through the cracks of the system and run away scott free instead of being caught by the law. Pretty interesting don’t you think? Well, you just wait. Second Layer – The series enables us to Read the mind of the main character, thereby slowly becoming aware of his past with him, and understanding why and how he came to be what he is. With him, we change, though as detached observers, we also realize that Dexter is actually lying to himself into believing that he has not changed at all. Don’t we all do that? We grow, evolve and learn how to think like Dexter, until we truly understand what a psychologically damaged sociopath and killer thinks like. Other serieses/movies have had this emphatic link between watchers and watched though right? So what’s the difference here? 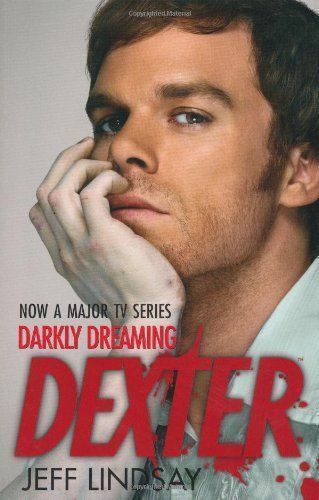 Third Layer – Becoming Dexter, we actually start to see THE WORLD the way Dexter sees it. We perceive the hypocritical neutrality present in the face of co-workers and friends, we recognise the masks worn by family members and acquaintances, we connect with the shadowy façade present in every part of society. And most importantly, we admit that each and every one of us has a ‘dark stranger’ inside. That part of us nobody knows, and that nobody CAN know because it is so terrifying, calculating and egoistical. And yet, which, in the end, is the part which holds everything else together. It is recognising and accepting that hidden part of us, that turns us not into ‘neat monsters’ but just… into ourselves.